Rey Davila and his daughter Jessica attend the Water Environment Association of Texas conference, Texas Water 2016. The pair celebrates after learning both of their Dallas Water Utility teams were going to their respective national competitions: Operations Challenge and Pipe Tapping. Photo courtesy of Jessica Davila. They say that when one door closes, another opens, and Rey Davila is living proof. 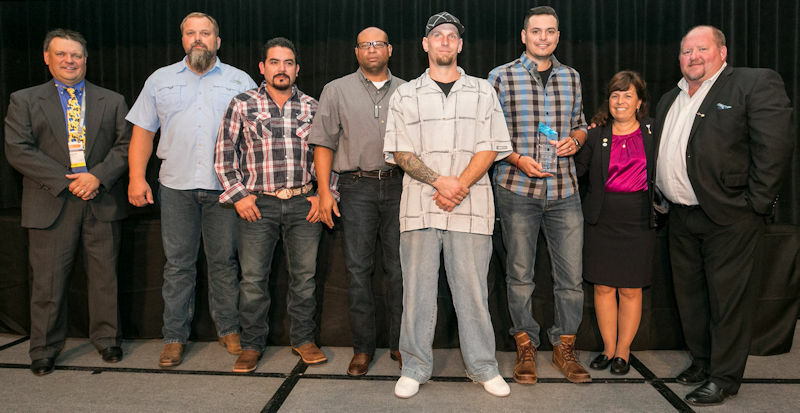 An unexpected layoff from the City of Dallas’ Transportation Department opened the door to a successful water sector career for him and, eventually, two other relatives – his daughter, Jessica Davila, and nephew, Christian Mendez. Rey had served the city for 3 years as a traffic-light technician when he learned in 1989 that his job was being eliminated, and he would need to transfer to a different city agency. Rey moved to Dallas Water Utilities (DWU). He worked his way up the ladder from apprentice operator to operator to facility supervisor at DWU’s water resource recovery facilities. Fourteen years later, he accepted a position as a chief operator at the North Texas Municipal Water District (Wylie). Rey joined the Water Environment Federation (WEF; Alexandria, Va.) and the Water Environment Association of Texas (WEAT) in 2004, so he would be eligible to participate in Operations Challenge. But being a member has given him much more, he said. 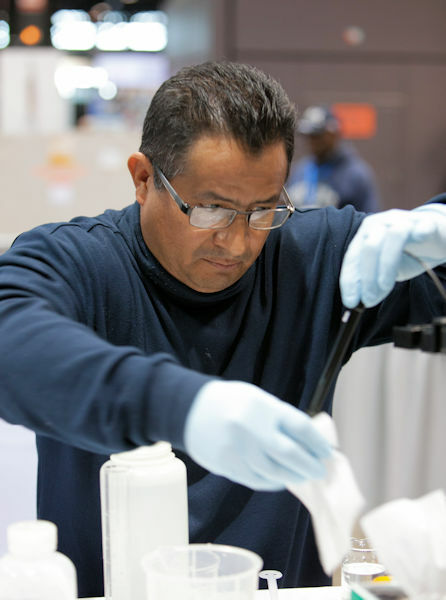 During Operations Challenge 2013, Rey competes in the Laboratory Event as a member of the Aqua Techs team. Photo courtesy of Kieffer Photography. In 2005, Rey joined the Aqua Techs, an Operations Challenge team formed by Dallas Water Utilities, as team captain. He has taken his team to nine national competitions where they have finished first in several different events. WEAT awarded Rey the David Barber Competitive Spirit award in 2012. Fellow Operations Challenge competitors voted for Rey to receive the distinction, which recognizes a participant’s spirit and drive. Also in 2012, WEF selected Rey to join a team representing the U.S. at an Operations Challenge-inspired competition called the Olimpiadas Sanitarias in Buenos Aires, Argentina. In 2013, WEAT selected Rey to join an all-star team to attend a regional Operations Challenge competition in New Jersey. He has remained involved in Operations Challenge, currently coaching the new North Texas team, The South Mesquite Rangers. 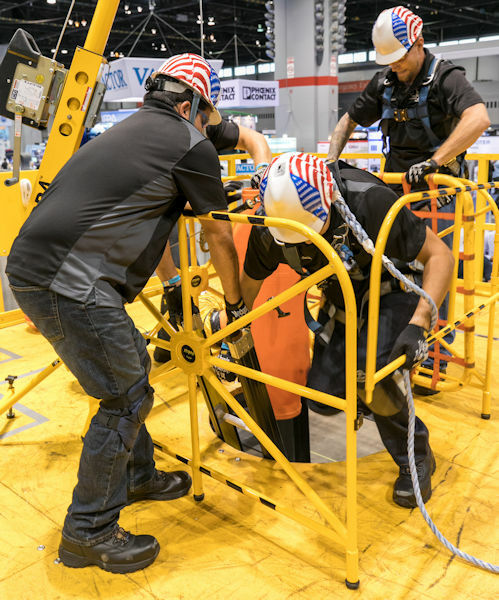 At Operations Challenge 2017, Christian Mendez (second from right) competes in the Safety Event as a part of the Aqua Techs team. Mendez is Rey’s nephew and carries on a legacy of competing on the team. Photo courtesy of Kieffer Photography. “[Operations Challenge] gives you so much information on how people in the industry overcome their challenges, including what equipment was used and how long it took to fix something,” Rey said. Preparing for the competition helps Rey train his staff on new processes needed to improve their facilities. The Operations Challenge network introduced Rey to the Texas Commission on Environmental Quality’s Water Utility Operator Licensing Advisory Committee, to which he was elected a member. Through this position, he advocates for educating operators about the water sector’s continually changing technologies and strategies and coordinates special training events on new equipment. 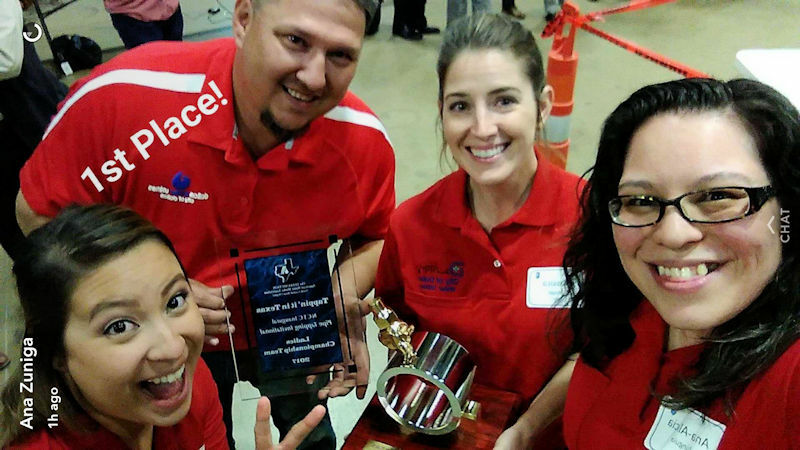 Mendez (third from right) holds the Aqua Techs’ award for placing first overall in Division 2 at Operations Challenge 2017. Other team members include captain Kevin Willey, Ernesto Romero, coach Edward Burrell, and Ryan Brunette. Photo courtesy of Kieffer Photography. Christian Mendez and Jessica Davila also have found a love for the water sector and share Rey’s affinity for competition. Mendez works for Dallas Southside Water Treatment Plant. In 2017, he joined the Aqua Techs, Rey’s original Operations Challenge team. As a team member, Mendez helped the Aqua Tech finish first in Division 2 during WEFTEC 2017. 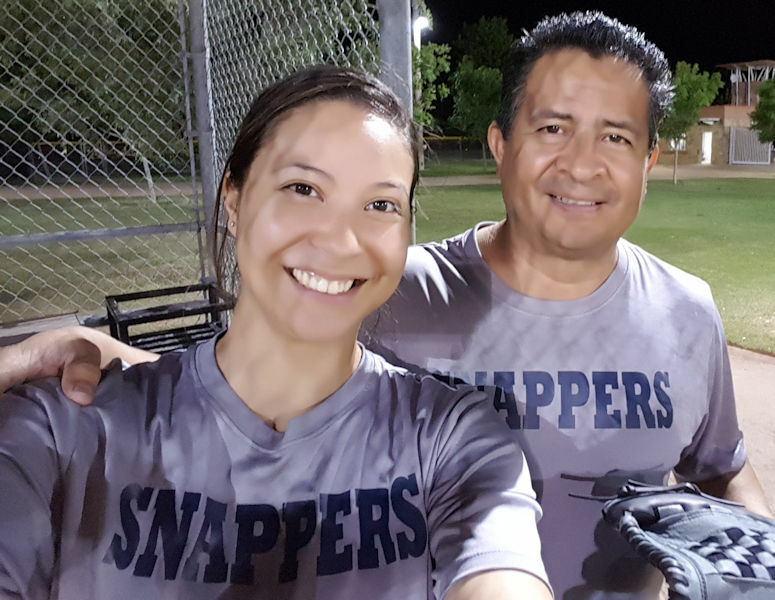 Rey and Jessica have competed on the City of Dallas’ co-ed softball team, the Snappers. The pair celebrates the team earning a spot in the finals in 2016. Photo courtesy of Jessica. Jessica has been a chemist for Dallas Water Utilities since April 2014. She works in the analytical laboratory at Central Wastewater Treatment Plant (Dallas) where she analyzes the quality of water samples to monitor how well pretreatment processes are functioning. From left, members of the Big D Lady Tappers Jessica, coach Adam Hewitt, Jessica Staggs, and Ana-Alicia Zuñiga hold their first-place award from the North Texas Annual Invitational Competition 2017. Photo courtesy of Ana-Alicia Zuñiga. Jessica adopts her father’s two main principles for success: work ethic and networking. 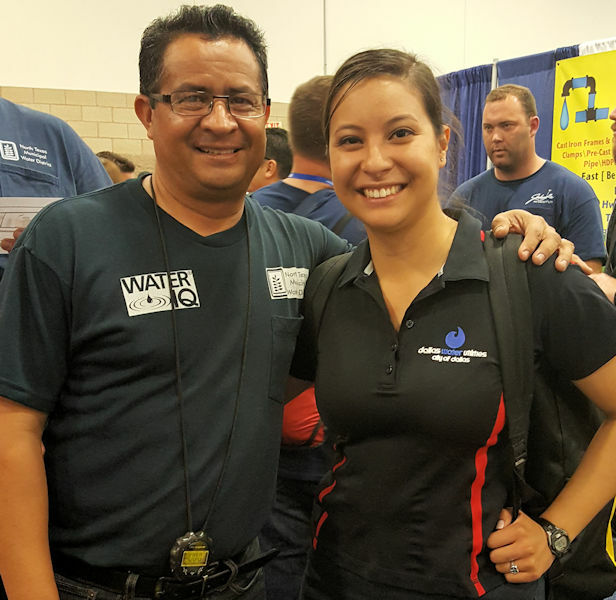 She credits him with inspiring her to work in the water sector and participating in the American Water Works Association (Denver) National Tapping Competition. She has competed on the city’s first female pipe-tapping team, the Big D Lady Tappers, since 2016. The team won first place at the annual North Texas Invitational Competition in 2017. The Water Environment Federation (WEF; Alexandria, Va.) shares stories about working in the water sector through the #MyWaterLegacy campaign. Launched at WEFTEC 2016, this effort brings attention to the value of membership, water sector leadership and innovation, and workforce development. My Water Legacy articles in WEF Highlights feature the members who have passed down the tradition of actively participating in WEF and working in the water sector. Do you know a WEF member who has mentored others in the water sector or a family with multiple generations of WEF members and water sector professionals? Contact Jennifer Fulcher, WEF Highlights editor, at jfulcher@wef.org.